Institute for Excellence in Writing (IEW) has long been one of our favorite companies when it comes to homeschool curriculum. If you could take a peak at our bookshelves, you would find grammar, writing, and a plethora of other homeschool resources from IEW. 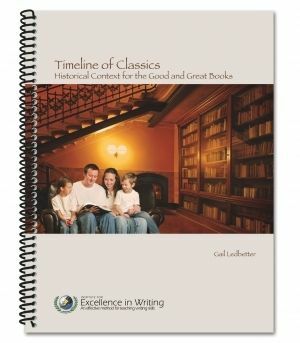 We recently received the following three homeschool resources for review from IEW: Timeline of Classics, Teaching with Games Set, and A Word Write Now. First of all, it’s a resource I wish I had six years ago when we first started homeschooling. 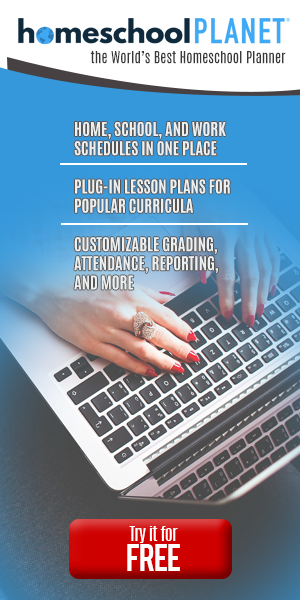 Using this book alone, you could organize all of your language arts (reading, copywork, dictation) and history curriculum for every grade. It’s amazing. This 87-page treasure is written in a spreadsheet like form that walks you through history. We are working our way through the Renaissance and Reformation period right now. I was able to flip to the correct time period, locate what region of the world or specific person of interest we are researching and find the exact resource that would fit the bill. Both Julia (my thirteen year old) and I LOVE it! I cannot believe we didn’t have this before. How have we not hear of it? I fully intend to recommend this book to every homeschool family we know. . . especially those that are Charlotte Mason-esque like we are. This resource truly can work along side any history curriculum you are using. 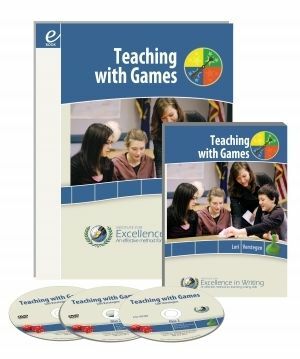 What is Teaching with Games? Teaching with Games is exactly that. . . a hand book to incorporating different types of games into virtually school subject. Based on the premise that: 1. Games are fun and 2. Games increase learning retention, this handy guide is brimming with ideas on incorporating more fun into your school day. There are twenty-one game ideas included and each one has several variations. With ideas ranging from the well-known Hangman to some not so well-known like Avoid the Card, the game ideas are easily adaptable for most ages/grades as well as larger groups like a homeschool coop or a single child homeschool family. After reading through the guide, I handed it to my thirteen year old and asked her to pick a couple of games and subjects to try some fun ideas with. She opted for hangman with her nutrition class and jeopardy (this one involved a bit more putting together on my part) with her grammar (really???). That girl cracks me up. We played nutrition hangman several times with a whiteboard and markers. It was simple enough and just involved me looking up some vocab words and definitions. For the Jeopardy game I drew a Jeopardy board on our white board and had some coordinating flash cards I’d made for the subject/points. Although there was more effort needed on my end, that one was definitely more fun. . . and perhaps more effective. At first I wasn’t too impressed with the contents of the book as I had previously heard of many of the games, but then the closer I looked I realized the author had put a new spin on every one of them. I think we as parents sometimes forget how much fun leaning can be. Why use flash cards or drilling when you can do a game instead! I plan on incorporating more games into our daily school routine. Perhaps my favorite idea in the book was the homemade pocket chart!! I cannot wait to get that done! What is A Word Write Now? 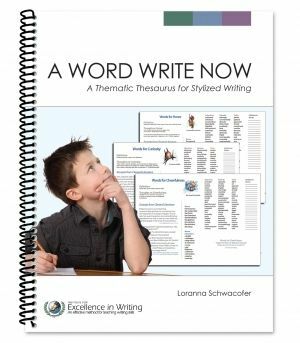 A Word Write Now is a thesaurus designed with kids in mind. It is thematic instead of being organized by definition. The different organization of the contents definitely makes it easier to use for younger children. This one was a bit trickier to incorporate simply because we weren’t used to reaching for it regularly. After we used it a few times, it became like second nature to check over our writing to see if there was room for detail improvement. Both of the older children used it several times, and believe it or not, I was able to use it a few times while writing my blog posts! The colorful pages aren’t just helpful, they’re pretty. They’re engaging. They feature quotes from both famous and not so famous people, room to add your own words and (my personal favorite) excerpts from classical literature. As always, IEW has delivered amazing resources. We look forward to finding new gems in the future from our favorite homeschool company. Click the banner below to read more Crew reviews about the other awesome products from IEW!